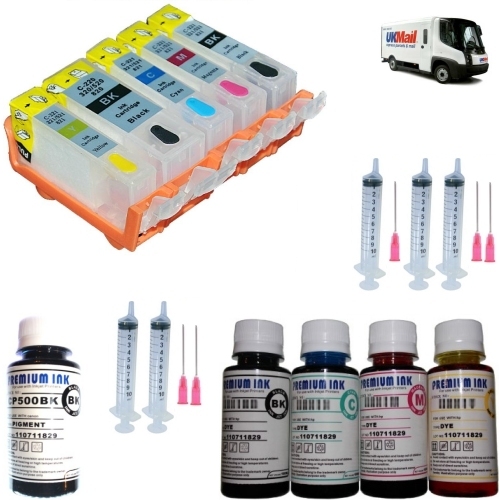 The Complete Refill Kit for the CANON PIXMA MG5150 Printer! PLUS 5 X 100ML PREMIUM QUALITY DYE INK! Fast Delivery Service! Next Working Day Via Courier! (Same Working Day Dispatch on orders received before 2pm).